At RWU, we often ask ourselves, "What would Roger do?" Early action pressures colleges to award financial aid without information on student need. Some years ago, a few of the most prestigious colleges and universities adopted a new model for admitting students. Rather than facing a delay of several months after making application before hearing the university’s decision, a prospective student could choose to apply for “early decision.” The very best applicants would learn much earlier in the admissions cycle that they had been accepted – but the catch was that they then had to commit to attend the university that had accepted them. No longer could they wait and compare offers from other institutions. “Early decision” cut both ways: in return for an early answer, the student was obliged to make an irreversible commitment. The time for bold action by university leaders is now, the credit agency says. 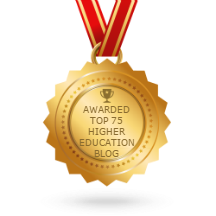 On the 16th of January, Moody’s Investors Service issued a report entitled “US Higher Education Outlook Negative in 2013.” Inside Higher Ed followed with an article on the findings in the report the next day. The report, and the article, were sobering reading for university administrators, and, in some quarters, more than a little frightening.